Neil has 20 years of media and consulting experience. He has launched radio stations and TV Channels, built online gaming portals and merchandise ranges. He has also advised on mergers and acquisitions in the media industry and beyond, with deal experience on both the client and consultant side. 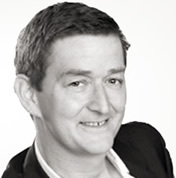 Neil’s career has included Sega, EMAP Radio (now Bauer Radio), Sparrowhawk Media and BBC Worldwide as well as strategy consulting with LEK and PA Consulting. As Managing Director of Global Children’s Brands and Licensed Consumer Products for BBCW, Neil re-wrote the strategy for BBCW’s Children’s & Licensing businesses delivering EBITDA growth of 60% over 3 years. Neil is based in the UK and has a BA in Economics from Manchester University and an MBA with Distinction from London Business School.